Bistro Blinds are great for enclosing outdoor areas such as verandas, balconies and pergolas, providing protection from the elements, whilst maintaining airflow, and additional insulation to your home. provide the perfect protection from the wind and rain, allowing you to entertain your family and friends all year round. 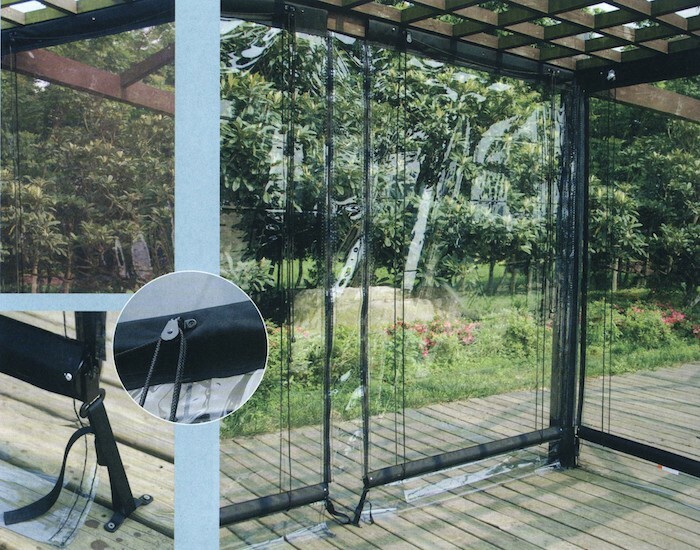 The clear PVC enables you to maintain your view to the outside. Made from heavy duty PVC, Bistro Blinds can be joined together using a zip joiner to extend entertainment areas outside the home.